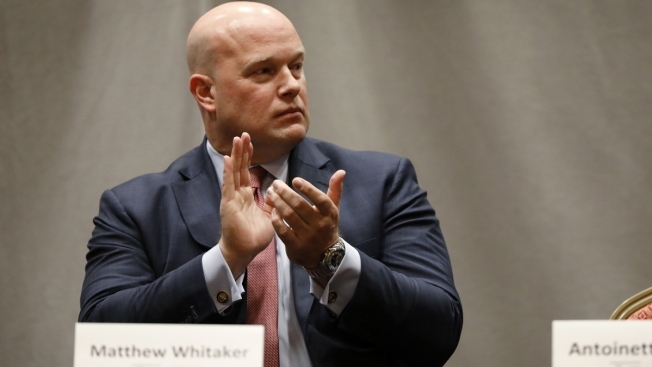 Acting Attorney General Matthew Whitaker attends the Rural and Tribal Elder Justice Summit, Wednesday, Nov. 14, 2018, in Des Moines, Iowa. In a court filing Monday, the special counsel's office said Whitaker's appointment has "no effect" on a legal challenge to Mueller's authority brought by an aide to former Trump confidant Roger Stone, Andrew Miller, who defied a grand jury subpoena last summer and was held in contempt by a judge. 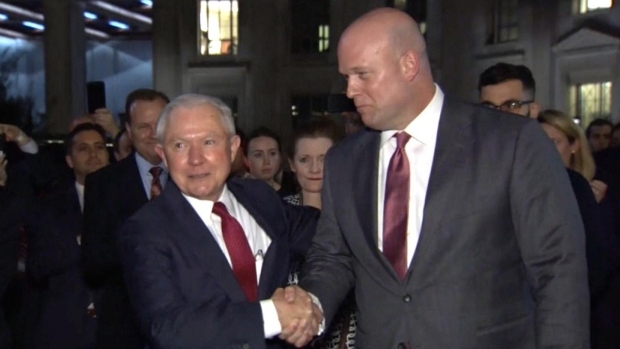 The filing came after the court asked the special counsel's office and Miller's lawyers to submit papers that address what, if any, effect Whitaker's appointment would have on the case.